Photo on top was taken back in august when we have our short vacation in the Philippines to visit my family as our main purpose and on the side we got to see some beautiful scenery of the country which I really treasured not just the touristy places Ive been to but also the memories and bonding we’ve made as family. Women wear different types and lengths of skirts. Just like any other type of clothing, skirts can be made in a variety of different textiles which will ascertain if it’s for professional, casual, or evening wear. Not all skirts are suitable for a particular body shape and/or height and women should be aware of this fact. Like for instance, the mini-skirt which is ideal for younger women who either has a boyish or apple-shaped body. They can be worn with a variety of different tops, in accordance with the occasion and the wearer’s style and personality. The A-line skirt best fits pear-shaped women because it focuses on the waist, and can be used in various occasions. There are also those who love wearing maxi skirts or ankle-length skirts. Because it’s a style that is flexible, women can wear them for both casual and formal gatherings. This skirt style suits taller women though and can be body-hugging and/or flowing. One of the more popular skirt types nowadays is the skort, which is a combination of shorts and skirt. It’s designed as a pair of shorts with a piece of fabric on top to make it look like a skirt. This is ideal for active women who are on a casual outing. Then there’s the full skirt which looks great on all body shapes. Its length makes it adaptable so that women can wear them casually and formally. It’s best paired with a fitted top tucked into a waistband. An online store where you can purchase all these beautiful skirts is Getthelabel.com. The company began in UK and has been in business for 4 years, continuing to grow and evolve. They started with a range of 300 product lines and now have over 4,000. The company’s heritage lays in leading sports brands. Getthelabel.com is a division of Top Grade Sportswear Limited and a subsidiary of JD Sports Fashion Plc. Their goal is to provide high street fashion from top brands at affordable prices. They offer a wide variety of items for men and women such as tops, shirts, knitwear, coats and jackets, trousers and jeans, skirts, polo shirts, shorts, footwear and many others. Available brands are Adidas, Converse, Under Armour, Timberland, Ralph Lauren, Nike, Kickers, Eastpak, and Levi’s among others. 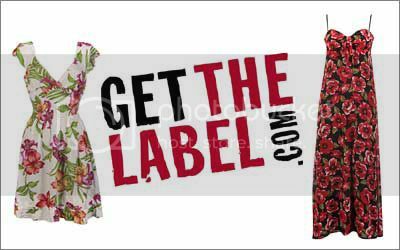 Getthelabel.com now ships to over 50 countries.